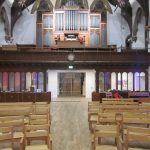 Here are some photos of of the new refurbished sanctuary (and a reminder of what it used to look like). We are still waiting for the last few things to be finished off – the front door and the lift to the basement. 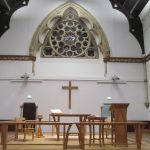 But already, we are delighted with our new sanctuary space and the possibilities it offers us. 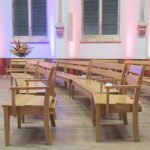 It is light, it is flexible, the beautiful new seating is comfortable. 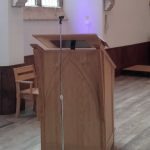 We have had our At Home day here, Messy Church, our Harvest lunch and the coffee bar in the lobby is a lovely place to socialise after services. 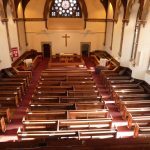 Join us to celebrate the new refurbished Sanctuary at our Rededication Service on Saturday, 14 October 2017 at 3pm.